We have created this infographic to help you identify 8 ways to improve your SEO. For those doing their own SEO, read our blog for regular tips and tricks on making your website search engine optimised. This can help increase your traffic from search engines and keep you ahead of your competitors. 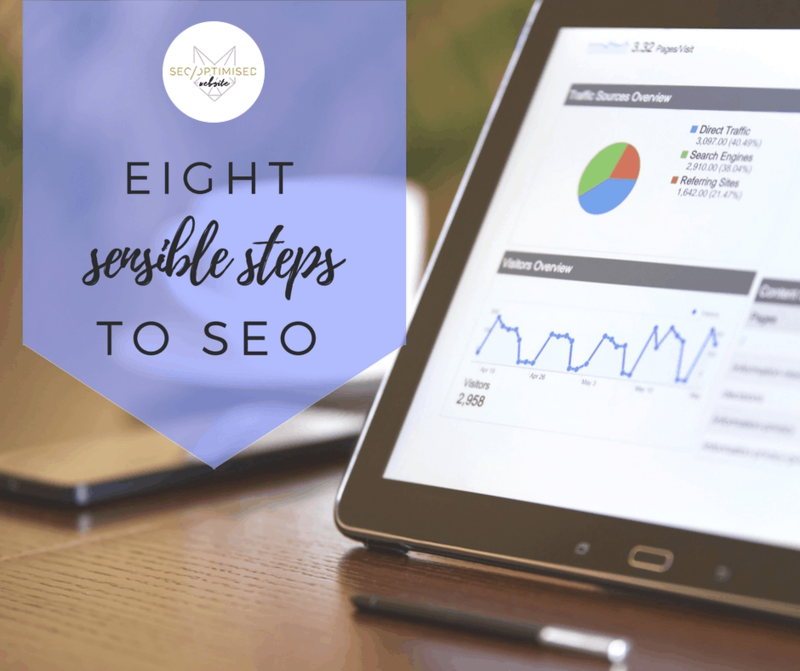 We have made this SEO infographic to show you visually how you can take some steps on your own website to improve your google search rank for more traffic. Starting with a great website is a good way to get the word out about your business. The second step is make sure that site is responsive. Most people view websites on mobile devices so you have to ensure that your site looks good no matter what screen it is being viewed on. User friendliness means that your information is easy to reach and your links are logical because your site structure has an impact on your rank. If you are running an eCommerce store, then ensure your products are described properly with unique descriptions. Google doesn’t like content that is duplicated on other sites and you may find your rank drop because of this small change. Ensure you have both on site SEO and off site work done. This gets your site all ready to be read and understood by search engine bots. Keep your social media efforts up, even if it feels like you are broadcasting to a non-existent audience. Also make sure the information on the website is current and up to date at all times. Contact us if you would like some more information.